Frederic Bourke is now an inmate of Englewood Camp, a minimum-security facility in the southwest suburbs of Denver, Colorado, in the foothills of the Rocky Mountains. How Appealing Are Bourke's Chances? 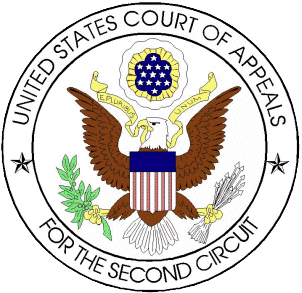 [T]he issues Bourke intends to raise on appeal relate closely to each other and, in turn, to the critical disputed aspects of the case. A series of issues—the conscious avoidance instruction, the good faith instruction, the absence of an instruction on "willfully and corruptly," and the exclusion of the Dresner testimony, for example—bear directly on Bourke's mens rea, which was the central battleground at trial. The assessment of Bourke's mens rea, in turn, depends heavily on the weight given the testimony of Bodmer and Farrell. . . . The mens rea argument didn't work for Bourke in his motion for acquittal or a new trial (see here). Nor did it work for David Kay and Douglas Murphy in the Fifth Circuit or with the Supreme Court. See our posts here and here. But it might work for Bourke on appeal. He's got deep pockets and good facts. And the timing is right. There are more questions these days about the criminalization of business mistakes and mere negligence. 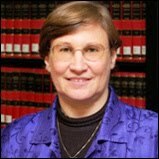 Under the influence of thoughtful commentators such as Ellen Podgor at the White Collar Crime Prof Blog and Tom Kirkendall at Houston's Clear Thinkers, more appellate justices must be wondering if the vague elements that are part of so many white-collar prosecutions are fair -- including the ever-more elusive mens rea element. Last month, the Supreme Court agreed to review whether the honest-services statute used to prosecute Jeffrey Skilling and Conrad Black (18 U.S.C. § 1346) is too vague to meet constitutional standards. If that's a signal of wider judicial discomfort with some of the push-the-envelope white-collar prosecutions, mens rea could be in play, and that could help Bourke. His prosecution didn't include a substantive FCPA charge. Bourke was tried and convicted for conspiracy to violate the FCPA. On appeal, some of his arguments will probably relate exclusively to the conspiracy elements -- such as whether there needs to be an overt act. So he could still win on appeal without us learning anything new about the FCPA itself. Bourke is scheduled to be sentenced on November 10, 2009. He faces up to ten years in prison. View a copy of the October 16, 2009 Reply Memorandum in Support of Defendant Frederic Bourke, Jr.'s Motion For Release Pending Appeal here. Read all our posts about the prosecution of Frederic Bourke here.